Migrants stranded off the Maltese coast will only be allowed to disembark once EU member states agree to host them, Malta government sources said. Some 49 migrants have been marooned for almost three weeks on board two NGO rescue vessels just a few kilometres off Malta’s southwestern coast. 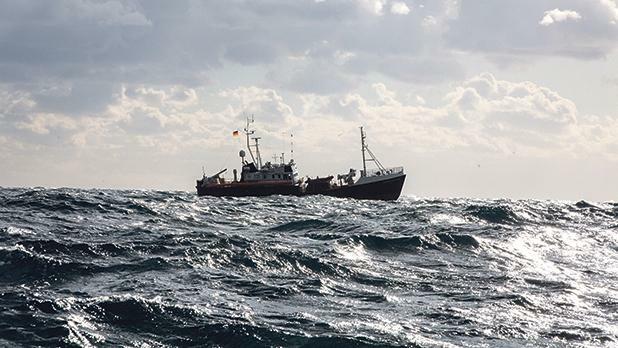 Both Malta and Italy have refused permission for the NGO vessels to enter harbour, but Malta last week allowed the vessels to enter its waters to shelter from rough seas. On Monday, calls for the migrants to be allowed ashore continued to grow, with many using the hashtags #LetThemIn and #DontLetThemDrown. The government sources however said the NGO rescue vessels, Sea-Watch 3 and Sea Eye, would only be allowed in once enough pledges for relocation were received from the 28 member states, and not before. We are for the protection of Malta's national interest. Bullying tactics from bigger countries are unacceptable. But vulnerable persons, children & infants stranded on board are not pawns they need humanitarian aid, shelter now. The European Commission’s chief spokesman, meanwhile, said that intensive talks were being coordinated in Brussels to find a solution to the migration impasse in Maltese waters. Margaritis Schinas said that diplomatic efforts had been going on throughout the weekend and had continued into yesterday evening. “We are working the phones. There has been intensive contact with a number of member states, which have been ongoing also during the weekend,” he said during a press briefing. The commission spokesman said “the swift disembarkation” of the migrants in a safe harbour was the key priority at this point. Representatives of the 28 member states were also given a late update of the situation yesterday and the spokesman said the stalemate showed that a serious solution was urgently needed. The government sources indicated that talks were ongoing to try and relocate some 250 migrants rescued by Maltese authorities in recent weeks. The talks, the sources said, were “diplomatic but complicated” and any preliminary agreements reached so far were “fragile”. Fielding questions from reporters, the Commission spokesman said that on a broader note, a possible rethink of some of the Union’s migration policies could also be on the table. An asylum policy reform and “other pending issues” would be tackled within the context of the Council of the European Union hopefully before the upcoming European Parliament elections, he said. Meanwhile, the spokesman said the Commission welcomed Pope Francis’s recent call for increased solidarity, saying this was key. The Office of the Commissioner for Children has also chimed in, saying the fundamental right to health and safety should take precedence over diplomatic negotiations. This was particularly true when it came to children and unaccompanied minors. The office appealed for solidarity and for “the voice of reason to prevail”, urging governments to find a solution to save lives, as well as to find a long-term strategy to prevent similar incidents from recurring. Andrew Azzopardi, Dean of the Faculty for Social Well-Being at the University of Malta, appealed “for common sense, decency and decorum to prevail” in what he called an unprecedented situation. “The Maltese government and the Maltese people are known for their high standards of camaraderie,” Prof. Azzopardi said in a statement.